Some signage requirements are naturally more glamorous and exciting than others; lending themselves to flashy graphics and striking effects. It would be fair to say that on this scale, an hours of operation sign is likely to make you think of function over style. These signs give vital information but they may not offer the opportunity for the marketing department to go wild with their design ideas. That said, you still need a top quality visual that is going to extend your company branding and give customers the best possible impression of your business. Southern Star Signs & Graphics have been producing this type of informational signage for many years and can help you make your key information look great. 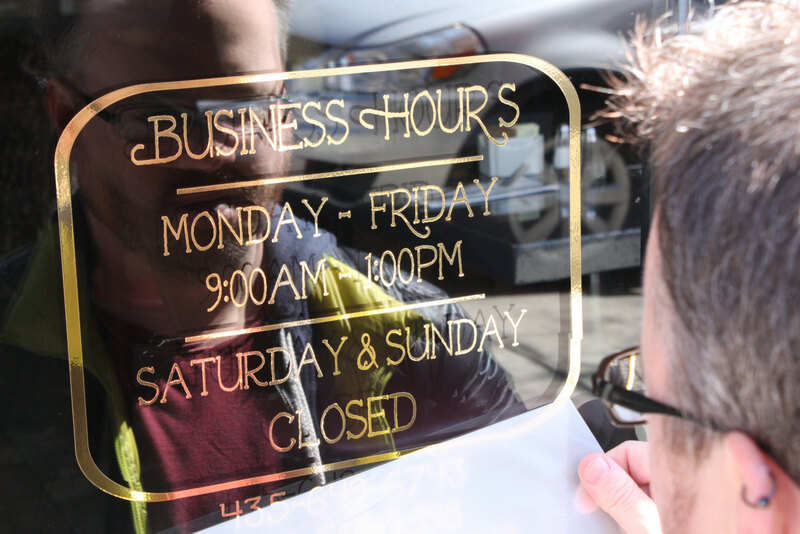 Although the function of an hours of operation sign is fairly straightforward, you should still put time and care into the design process to ensure the best possible result. Typically, this sign will be put on your premise door in some form so it’s going to be visible to every customer who walks in or past your door. For that reason you want it to look good and be an extension of your corporate branding and identity. Our graphic design team can discuss color schemes, type fonts, and graphics to make sure it ties in with your look. We can mock up different samples so that you can pick the one that matches your requirements. 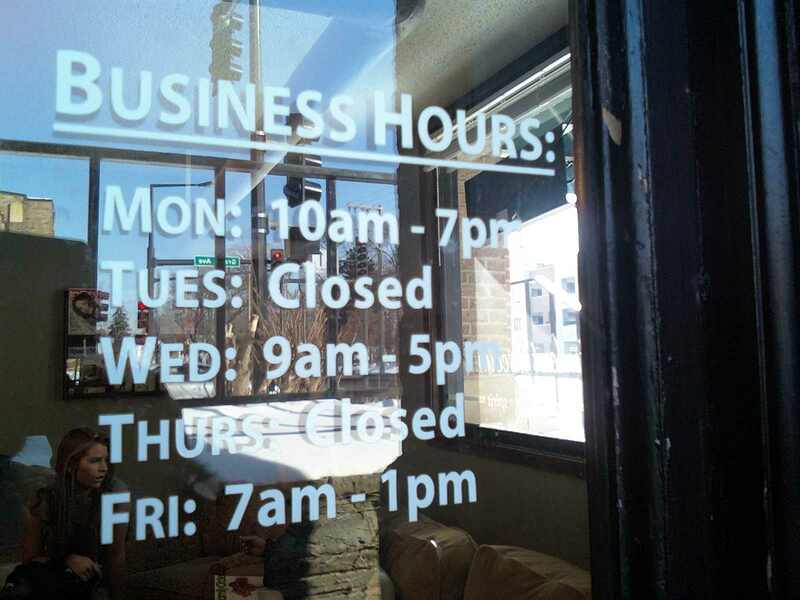 The design process will ensure your hours of operation sign looks great. It will also be the time to check that it has all the required information on it; clearly, this will include opening times, maybe contact information and possibly other text. Things will then move over to our manufacturing team to create the sign. One of the most common types of these signs we deal with is decals or stickers to go on glass doors. These will go to our printing team who will use our state-of-the-art printing technology to create a beautiful end product. Our printers use the latest latex-based technology which is one the most environmentally-friendly forms of printing around. Many other sign companies are still using old-fashioned solvent-based printing technology which gives off hazardous waste products which are not great for the planet. Alternatively, you may be looking to get your sign manufactured from wood, metal or plastic. We’re experienced at creating signs from all of these materials and only ever use the highest quality available. If you’re buying a wooden hours of operation sign to hang on the door, then chances are that you won’t need a whole lot of install support. However, if you’re going for a door decal or other quirky type of sign then you may want a hand to ensure the finished product is perfect. Our installation team is experienced with all types of signs and will be happy to put a plan in place to get your sign up with the minimum of disruption to your business. Get in touch today to see how we can help.